The Bears' Bryce Callahan (37) tries to bring down Rams running back Todd Gurley in the first half of Sunday's game in Chicago. Callahan went out later with an injury, which the NFL Network has reported as being a broken bone in his left foot. 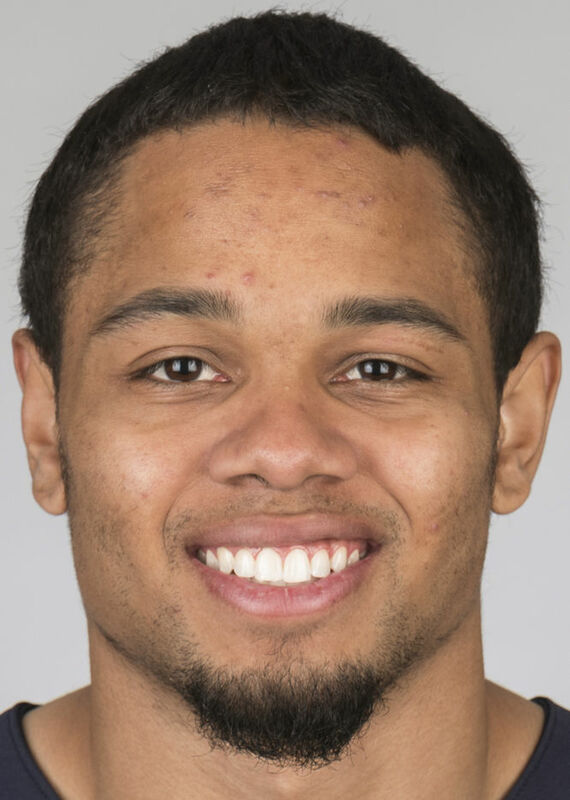 CHICAGO — Bears slot cornerback Bryce Callahan has a broken bone in his left foot, NFL Network reported Tuesday. Callahan left Sunday’s game against the Rams in the second quarter and didn’t return. Bears coach Matt Nagy said Monday that Callahan was undergoing tests on his foot and he’d know more within a couple of days. Nagy speaks to the media next on Wednesday morning. A company called Elite Icons Framing and Memorabilia first broke the news of Callahan’s injury on Twitter, announcing Callahan couldn’t participate in an autograph signing Tuesday night because of a broken foot. The company has since deleted the tweet. But NFL Network confirmed the report shortly thereafter, noting it was Callahan’s fifth metatarsal that is broken and that a timeline for recovery is to be determined. Callahan has played a key part in the Bears' defense this season. He has a career-high 45 tackles and two sacks, with two interceptions and six passes defensed. He had made more of an impact this season, his fourth with the Bears, because he was able to stay healthy and on the field. The Bears brought him back this season on a one-year restricted free-agent tender worth about $1.9 million. He will be a free agent this offseason. In his absence, Sherrick McManis played 56 percent of the Bears’ snaps on Sunday. McManis, 30, has 19 tackles, a sack, an interception and a pass defensed in 12 games this season.